Abdennour El Rhalibi is Professor of Entertainment Computing and Head of Strategic Projects at Liverpool John Moores University. He is Head of Computer Games Research Lab at the Protect Research Centre. He has over 24 years’ experience doing research and teaching in Computer Sciences. Abdennour has worked as lead researcher in three EU projects in France and in UK. His current research involves Game Technologies and Applied Artificial intelligence. Abdennour has been leading for six years several projects in Entertainment Computing funded by the BBC and UK based games companies, involving cross-platform development tools for games, 3D Web-Based Game Middleware Development, State Synchronisation in Multiplayer Online Games, Peer-to-Peer MMOG and 3D Character Animation. Abdennour has published over 180 publications in these areas. Abdennour serves in many journal editorial boards including ACM Computer in Entertainment and the International Journal of Computer Games Technologies. He has served as chair and IPC member in over 100 conferences on Computer Entertainment, AI and VR. Abdennour is member of many International Research Committees in AI and Entertainment Computing, including IEEE MMTC IG: 3D Rendering, Processing and Communications (3DRPCIG), IEEE Task Force on Computational Intelligence in Video Games and IFIP WG 14.4 Games and Entertainment Computing. Abstract: Healthcare is an essential part of the national critical infrastructure network. Of the four critical infrastructures (safety, mission, business and security), hospital infrastructures are a mission-critical infrastructure. Damage to network communications and the loss of patient data would have a detrimental impact on the health provision. Additionally, many lifesaving medical devices, used by health care infrastructures, are vulnerable to attacks from the digital domain. Pacemakers for example, are calibrated wireless and have none or very little security in place. Medical devices are often limited in their computational and communication capabilities. Such devices are not built to accommodate computationally exhaustive operations. Similarly, most medical devices have low on-device memory, leading to the challenge that they are not able to execute complicated security protocols. Wireless links and open connections, present on medical devices, can also be compromised by attackers. Adversaries can manipulate the data transmitted and received by the device, alter dosages, and even turn devices off, putting patients’ lives at risk. However, a notable concern is that a successful attack on such device, presents an opportunity for an attacker to gain backdoor access into a healthcare infrastructure. This essentially allows attackers to bypass the network authentication infrastructure required to access systems containing sensitive personal data. 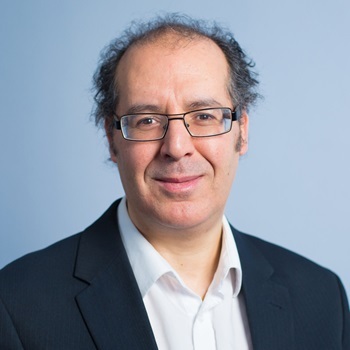 In this talk Prof. Abdennour El Rhalibi will present challenges and solutions in digital healthcare security techniques relying on machine learning, visualisation techniques and IDS. The presentation will also include an overview of the research carried out at the Protect Centre.